In Aggieville’s Northgate neighborhood, on a strip of buildings emulating the Wild West, you better make sure you’re wearing shoes—or better yet, cowboy boots. 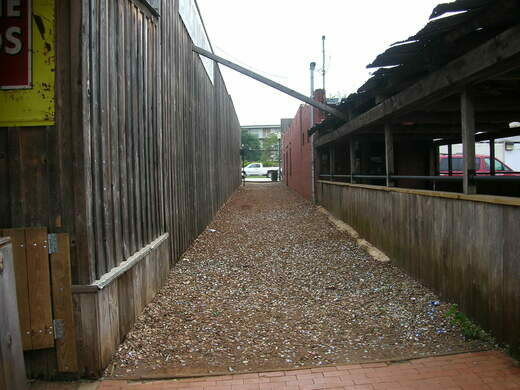 You’re approaching Bottle Cap Alley, a pathway paved with decades of discarded beer (and soda) caps. 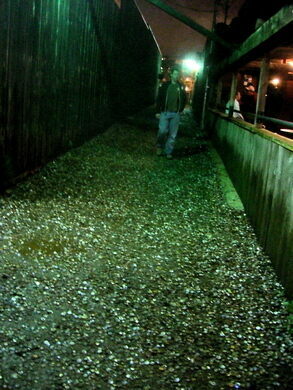 Bottle Cap Alley has become an important fixture of Texas A&M University. The strange ritual’s origins are not known, but they likely go back at least four decades. 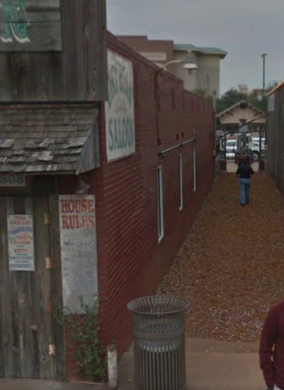 It may have started with the adjacent restaurant, The Dixie Chicken, dumping its bottle caps in the alley every night, along with other local bars and restaurants. What better recycling bin is there than an entire street dedicated to bottle caps themselves? These days, the neighborhood establishments don’t contribute much to Bottle Cap Alley, for various reasons (fewer bottles sold, more environmentally conscious) and drinking outside is also banned there now. Nevertheless, A&M students and grads (aka “Aggies”) save up their own bottle caps and bring them to the alley to keep it fresh. The collection has grown over the years to encompass hundreds of thousands of caps, by some accounts. However, the numbers may be dwindling. Some people come to visit and take a bottle cap or two away, whether for sentimental reasons or because they are collectors who find interesting caps—Bottle Cap Alley is like a gold mine to the right person. Caps are also stolen by, rumor has it, the Texas A&M Corps of Cadets, who wear the caps as spurs on their boots when their team plays against SMU, a longstanding tradition. 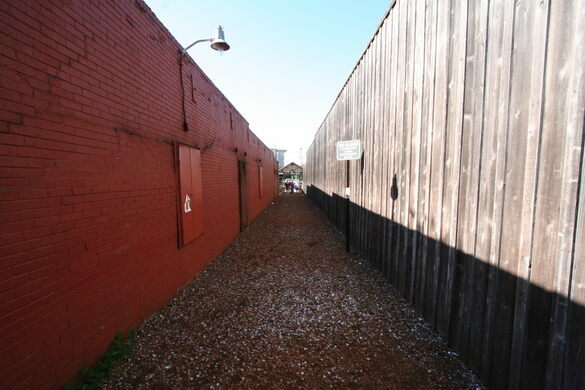 Fortunately, if you visit, you can help preserve Bottle Cap Alley by making a donation of your own. 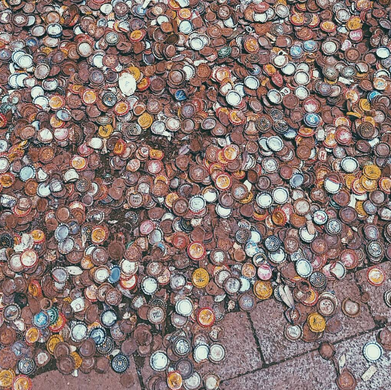 In fact, after realizing that mostly American beers were represented in the alley, some people made a point to bring caps from imported beers, making it a sort of international bottle cap gallery. 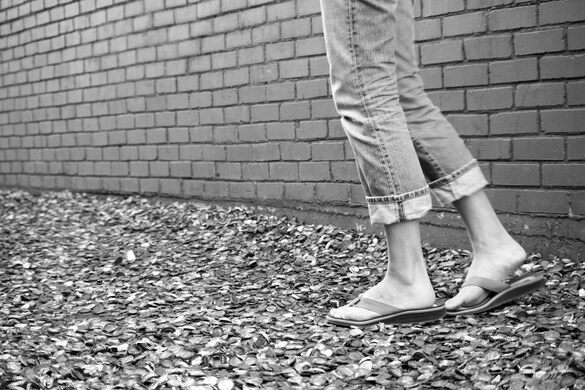 Open footwear is not recommended at Bottle Cap Alley, because of the risk of getting cut. It has also, being an alley, been known to receive donations of various bodily fluids in addition to bottle caps, so whatever footwear one is sporting, vigilance is encouraged.